COLOR(S): Black, black with tan, beige, and red. Do you love dogs but thought you could never own one because of your allergies? Well, lucky for you, that may no longer be the case! Many dog lovers have found success with hypoallergenic dogs. While no dog is completely allergy free, some dogs have non-shedding coats producing less dander than other breeds, gaining the popular label, dogs that dont shed. Regular grooming and bi-monthly baths are an essential part of owning hypoallergenic dogs. This will keep the dander levels down that fur collects which causes the allergic reactions. With hypoallergenic dogs, allergy sufferers can experience the joys of owning and raising a dog, while keeping their allergies at a very comfortable level. Before investing in any hypoallergenic puppies for sale, you will want to first test your allergy sensitivity to your chosen dog breed. Keep in mind every individual will react differently, so don't base your allergic sensitivity on someone else's results. The best way to test your sensitivity is to visit each particular dog breeder and spend time with those non allergic dogs. This allows you to see if you will develop any allergic reactions. You may have more tolerance for some dog breeds as opposed to others. After you have found some types of puppies that work for you, don't forget to research the dog breed. That way you can determine if that dog breed will adequately suit your lifestyle. Once you've made your decision, browse our countrywide listing of dogs for sale. American Hairless Terrier - Alert, playful and loving dogs. American Hairless terriers do not shed and are ideal for allergy sufferers. Basenji - Basenji dogs are extremely intelligent, affectionate, active and respond well to training. Their short and fine coat make these hypoallergenic dogs light shedders. Bichon Frise - Bichon Frise dogs have merry temperaments, love to be the center of attention and are easy to train. Shedding little to no hair, Bichon Frise dogs are good for allergy sufferers. Bouvier Des Flandres - Highly intelligent, calm and gentle, these hypoallergenic breeds shed very little when groomed properly. Cairn Terrier - Cairn Terrier are an active, friendly, loyal and mischievous breed shedding little to no hair. Chinese Crested - This rare, hairless breed is sweet, playful and cuddly. 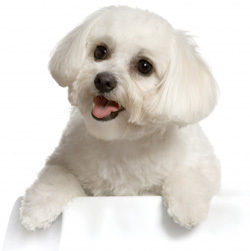 Coton de Tulear - These hypoallergenic dogs are very sociable and devoted to their family. Havanese - These happy and outgoing small dogs are excellent candidates for obedience training. Havanese dogs shed little to no hair. Maltese - Maltese hypoallergenic dogs are gentle, loving, trusting, highly intelligent and devoted to their masters. Poodle - Poodles are steady, smart and loyal. They are happy, good-tempered dogs that make excellent family pets. Standard Schnauzer - Schnauzers are high-spirited, affectionate and protective dogs. These hypoallergenic dogs make good companions and are generally good with children. 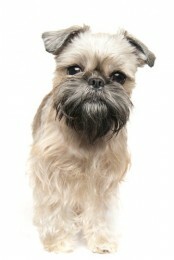 Shih Tzu - Shih-Tzu dogs are happy, hardy and spunky little dogs. This breed sheds little to no hair and is good for allergy suffers, if the coat is kept very well-groomed. Soft Coated Wheaten Terrier - These dogs are sweet-tempered, easy-going and bond closely with their family. When well-groomed, these hypo-allergenic dogs shed very little hair and dander. Yorkshire Terrier - Yorkshire Terrier dogs are intelligent, spirited and easy to train. These are small hypoallergenic dogs that shed little to no hair.